I am very pleased with the help I received at Town & Country Insurance. I met with Barb 4 years ago to sign up for social security and a supplement and she gave me the options plainly. I just met with her again as my current plan was being eliminated. She again was so helpful showing me the many options, it is worth the 120-mile round trip to meet with you folks. Thank you, Barb! Town & Country Insurance did a wonderful job on my renewal. Jenell did/tried several ways to lower my policy. Service was spectacular with Jenell. Jenell did a really good job and everything was explained well. Jack & Rhonda are an excellent team. 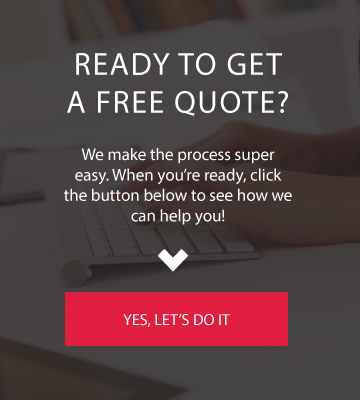 When it comes to our business needs for insurance goes, they are very quick for answering any questions we have & providing others with what is required. My family & I also carry our personal insurance there and the whole team up there in Mora, my wife and I are very satisfied with any changes that need to take place and quick actions are taken. Those guys give you a good sense of feeling when it comes to your insurance needs. Heidi is on top of whatever we call for immediately. Gets back to us same day. Very detailed in all answers. I contacted Town & Country Insurance prior to turning 65 years old and spoke to Barb Rabe concerning signing for for Medicare. Also to check on supplemental medical coverage. Barb Helped me figure out everything and took care of all the details. Barb even called Social Security for me and scheduled a phone appointment to sign up for my benefits. Barb made everything so clear for me to get completely organized with my retirement benefits and medicare coverage. I could not be more pleased!! I have had the best agent when I retired. Her name is Barb Rabe so many things were coming at me, that I didn’t understand. Barb, explained them and it gave me peace of mind. She is remarkable, a wonderful woman. She took the time and looked out for what was best in my situation. It seems so overwhelming when one starts social security and doesn’t understand insurances. I commend her. All the staff there is so curtious and friendly to people. Thank you for you excellent care. Living in Isanti County, I had to replace my Medicare Cost plan. Naturally, the mail poured in as companies informed me of their eagerness to get my business. I recycled most of it, knowing that my appointment with Jeni Olander was coming up and she’s have options for me to consider and information I could use to make a good decision. That’s just what happened on October 23! Thanks, Jeni, for being a great Life & Health agent! We came into Barb Rabe’s office to get some answers about the insurance that we must consider for the next year. Since I can’t continue with my current plan. Barb was extremely “well-versed” in all plans and could share the positives & negatives of each. She knew my previous insurance history and was able to me valuable information, and let me make the choice. I am greatly relieved of the stress I was experiencing, since Barb helped me with her expertise! She was great! Thanks Barb, you did a super job explaining the options, etc. You went over it several times. It’s a confusing time! I saved $100.00 a month by switching from Geico! Good people and friendly. Great Job. Very nice people and helpful. I had a pleasant experience meeting with Jenell and she explained everything very clearly including questions that I had. We are so happy to have been referred to Joni at Town & Country years ago. She has gone out of her way to take care of all our insurance needs. Always responsive and always reviewing out coverage for ways to save us money but keep our coverage up to date. We could not be happier with her service. It was very pleased with all the work, information, and instruction that I received from my agent Heidi. My daughter helped me with it and she was very pleased. The process of getting new insurance was very pleasant. It made paying out money seem almost painless. Jenell was great to work with and had a wonderful attitude. Thanks for making something that always seems a pain to be painless. My experience was very good Jenell was very personable and professional. She gave me all the info I needed for my policy. I am very happy with how things went. I have received helpful and courteous service from Jenell that led me to accomplishing my goal set out by coming to Town & Country Insurance. I attended a group informational meeting presented by Barb Rabe where we all received information and discussed insurance options. Then my husband and I made an appointment with Barb to discuss our individual insurance needs. Barb provided and discussed the options with us and together we came up with the best insurance plan. This plan had a lower premium and prescription cost and better coverage. Barb was very knowledgeable and great to work with. We were more than pleased with the experience process and outcome. I have now referred other people to Barb for their insurance needs. Heidi is one of the best agents I have worked with. Always available and always has an answer. I have been a client of Joni’s for many years. She is knowledgeable and explains insurance options in an easy-to-understand manner. I feel she is always working to provide me with the best possible coverage at a reasonable cost. My insurance rep Joni does an awesome job. She gets back to me in minutes not days and always searches for the best rates for what I’m looking for. Town & Country Insurance has shown me they really care about you. I have never had an Insurance Company call me to review my policy – That was Great & Heidi was so gracious – Had time to really talk to me – Helped me find an address for a place I needed to go. My experience, with Jeni was such a positive one! She was always courteous, cheerful and prompt returning phone calls, and she solved my insurance needs to my satisfaction. I am a happy customer! I highly recommend Jeni Olander! I was very pleased with Julene, who even came to my home since I don’t drive. She was so nice and actually listened to my concerns. I am so pleased with the policy she wrote for me. I would recommend Julene and your company anytime. Gabe Cessna & Vicki Marks at Town & Country Insurance in Hinckley, MN are always a joy to speak with, they will go above and beyond to get you the help you need on any of your insurance needs. It is a great pleasure having them for my providers. I have been with Town & Country for years and have always had good service. Joni Smith is now my agent and is extremely knowledgeable with my insurance company and not only an agent but a friend. I trust her judgement when I am making decisions. We are very pleased with our new agent, Sarah. She made an hour-long trip to our home to discuss our policies, answered our many questions, and offered several options to us. She is genuinely interested in her clients and follows through on discussions. We are happy to have her as our new agent. Chris is super to work with. She knows her industry well and makes sure her clients have the best coverages to meet their needs. Highly recommend! Nate has been fantastic to work with from a claims and agency communication standpoint. Nate was patient with the claims process as it can be somewhat of a timely situation given volumes at times and Nate handled Mr. Insured’s claim above and beyond the normal duty. It’s always a HUGE benefit when the agent and the claims adjuster can work hand-in-hand to ensure all is being done in taking care of the insured. That’s what insurance is all about. A big positive shout out to Mr. Nate Jackson. Thank you! The staff here at Town & Country Mora are very professional and courteous. I would recommend anyone to shop here for their insurance needs. Jenell was awesome! Explained everything and got me all hooked up. Jenell has been a great help with getting me insurance after my divorce. My experience with Town & Country Insurance has been very pleasant. The agent Jenell was very nice and very informative. I have not had a claim yet but I’m sure it would go well. Thank you to Vicki Marks & Gabe Cessna! We went through some changes in our business and they made it so easy to get everything in order. Vicki especially has put lots of time in to making sure we were all up to date! This is why we stay local with our service providers! I was shopping for lower rates on my auto insurance, and Rachel worked with me to bundle my coverage – got the same coverage, a little lower rate on my auto bus SAVED on my homeowners. Best of all, both Rachel and Jeni returned my calls on the same day which doesn’t happen very often! Awesome agents! We recently reviewed our policies with Christy Sundet. She was prepared with current replacement cost figures for our home and rental property. We reviewed coverages for auto also. Christy answered our questions – we made a few small adjustments. We appreciate the professional, thorough, and friendly service we get from Christy! 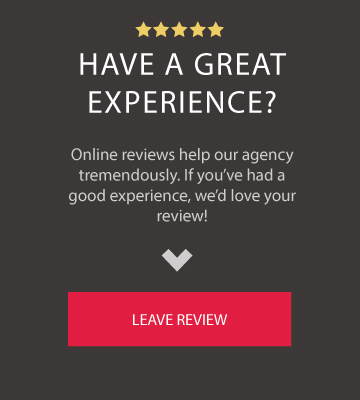 We were so very satisfied with our agent Jenell Carlson. She helped us understand the coverage of Kevin’s (our son) machinery stored on and in our farm building. We were going to ask for her to become Kevin’s agent because she understands our situation. Kevin tells us that he has already do so she can work between the two farms. Thank you for making the change. We appreciate it very much. This was my first time looking for coverage (car insurance) as I was switching from my parents to my own insurance. My agent (Heidi) made it as quick and painless as one could imagine! Super easy to talk to and answered all my questions. I would recommend, especially to anyone new looking for different coverage options! Jenell was pleasant to deal with informative and to the point overall fast and was great experience. We appreciate Rachel’s genuine, friendly personality during our recent visit at her office. She was kind and helpful explaining things about our insurance. We would recommend her highly to anyone! Her knowledge regarding the things we need to think about as seniors in upcoming plans was good to hear. Thank you! We are very pleased with the agents at Town & Country Ins. We have worked with Rachel for our home, auto & rental needs and Jeni for help with Medicare and Health Insurance. Both agents have provided us with excellent service, and are always looking out for the best value for our insurance needs. We love Rachel as our agent. She is courteous, kind, professional, friendly and still looks out for her customers and makes them feel like family. One of my employees had contact with Jack. Jack looked over his current policies and recommended him to keep his current policy at this time. It is nice to hear there are honest insurance agents out there. It’s so great to have Jack working with us on our insurance needs. He easily answered all of our questions and was able to lower some rates so that we could afford AAA’s Advantages. He’s our hometown, personal insurance guy! Thank to Jack! One thing that is important to my husband and I is to use local service provider whenever possible, and going through this past year of changes with homes and the complexity of our situation it was so wonderful to have Rachel there to help us with every step. She was beyond helpful in not only getting us what we needed but made it as easy as possible. 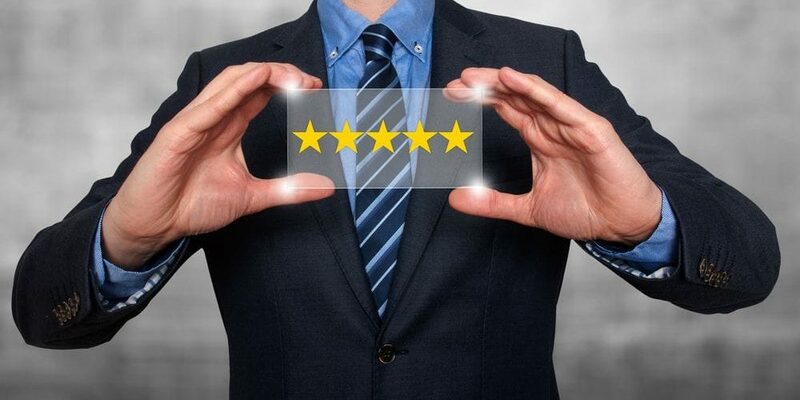 As a long-term customer of Town & Country Insurance for my vehicles, home/property and supplementary health insurance, I have nothing but the highest regard and appreciation for the service that they have provided over the many years of our relationship. I also want to commend the agency on their community donation program. Good job helping us review our insurance policies. You are very friendly and easy to understand and relate to. Thanks for your help. Thank you so much for all you have done for us through this whole transition we really appreciate it! We have been insured with Western Mutual with Town & Country Agency for over thirty years. Their service has been excellent, including a major fire claim. We are confident with their coverage and service. Town & Country Insurance/Gabe Cessna and Vicki Marks have always provided great assistance with my Insurance needs. They do an awesome job. I am sorry I did not respond to your voicemail. My experience with Town & Country has been very satisfactory, pleasant and helpful people. Town & Country Insurance in Hinckley is our “go to” for our insurance needs. We trust them with all of our insurance needs. Therefore, we have come to depend on them. They have proven to us we can do and have all agents we work with all friendly, courteous and knowledgeable. Thank you to them for being there for us. I appreciate Chris visiting me in my home, as our agent Darlene used to do and I felt she did a very good representation of the Insurance policies and various items etc. Vicki is a very thorough and courteous agent. She always gives me detailed information regarding my insurance, what is covered, and any changes in my policy. She is knowledgeable and has excellent customer service. I appreciate the time and attention she provides to my account. Joni does a very good job for us. She’s always available to answer questions or provide information for us. She reviews our account and provides us with options to receive the best coverage for our money. She is a very knowledgeable and well-informed agent. We are very happy to be working with her. Rachel was my agent. She was very delightful. She helped me get exactly what I needed. She was very friendly, well spoken & helpful agent. I look forward to doing more business with her. Vicki Marks was extremely helpful and patient. She took time to clearly explain everything and was willing to help with everything whenever I needed it. I just wanted to express my appreciation for the excellent service you have provided to me. A special Thank You goes out to Heidi Jean for all the help she has given me. I will recommend Town & Country. Vicki, we greatly appreciate how hard the staff at T & C Insurance has worked to provide us with the most competitive rates. They have been very friendly and helpful with our insurance needs. True Stars!! Gabe & Vicki have been working with me on my business insurance needs. They both do a fabulous job. They keep me updated on things I need to provide or do, which I need that sometimes when things get busy for me. They are always willing to help me out. You have a great team there. Keep up the great work. I have had policies for years with Town & Country and they have always provided top shelf service. Health Insurance can/is hard to understand or know all the options. Jeni has a vast knowledge of what they offer (and for me) how they work. Her approachability is a welcomed attribute when you’re dealing with something you don’t understand. I would/do recommend her and her team at Town & Country. Very nice from the moment I walked in and helpful also, Jenell set up my new policy and even got me better rates. Thank you very much. Jeni has been always so helpful when we call or meet with her. She is so knowledgeable and has given us options for our health insurance coverage & remembers our circumstances and what would be best for us. Jeni is also caring and prompt at getting back to us if necessary. We would recommend Jeni to anyone! Julene was very helpful with our farm policy that is somewhat complicated. She made everything clear and answered all of our questions. Also, I will be talking to you about my own policy. I thought you were great. Julene was very helpful in deciding what coverage we should have and ones we no longer needed. Thanks, Rachel, for taking the time to compare our different options to get the same coverage we had for our auto insurance and best of all – to get it at a way lower price. You provided us with excellent service and were very pleasant to work with. Thank you. Jenell is very helpful! Big Saving from previous insurance. Rachel is great to work with. She is helpful, proactive, and timely in getting responses. We appreciate all the help we get from Rachel and the Town & Country Team. I would like to thank Rachel for all her help on all my insurance coverage. She was very professional & helpful. She helped me go over all my policies, and helped me make the changes I wanted and needed. Joni did a fabulous job writing up insurance for my new condo. She is such a pleasant person to work with. Thank you, Joni! Rachel has been great with all of my insurance requests! She is very knowledgeable, resourceful, and quick to respond to my insurance needs. I have contacted Jeni on many occasions and with a variety of questions about my Medicare and supplemental coverage. She is very quick to get me an answer and is more than kind. We couldn’t ask for a nicer person to deal with when it comes to our important questions. I contacted Nate about a comprehensive claim on my vehicle. He was very quick with his reply and walked me through it very well. When the adjuster did not receive the estimate, Nate helped me to follow up and everything came out well. Thanks Nate!!! Rachel is always ready to assist with any issues I may have, she is a great problem solver. Jeni O has been kind and courteous in providing expert insurance information and service. It has been a joy to work with her, she is capable and knowledgeable. Thanks. Great resource for getting information about Medicare coverage. Very knowledgeable about coordination of benefits. Appreciate the time she (Barb Rabe) spent with us to explain coverage options. We have been customers with Town & Country Insurance for many years with all our insurance needs. This was our first year working with Jeni for our health insurance needs. Our experience working with Jeni was very good. When we needed health insurance after finding out employer would not be able to afford it, we called Jeni immediately and she was able to ger us enrolled in the insurance programs that would work for us and were able to afford. Jeni explained everything to us in simple terms that we could understand. My opinion of Jeni Olander is she’s very professional in her work as an Insurance agent. She helped me in a very timely manner. She has a great smile & personality! Everyone was very nice. Thanks again. If I hear of anyone needing insurance, I will send them your way. Barb is extremely knowledgeable in all aspects of the Health Insurance Market. She speaks with confidence and guides clients to the best plan to fit our needs. To Whom It May Concern, I am very happy and satisfied with your staff and service. Jenell explained everything to above satisfactory. Very Pleased with the way the policy was explained and handled by Jenell. Best I’ve had for my Insurance needs. Keep Jenell in the office. She’s a good agent and she’s been excellent help to me. Jeni Olander was excellent to work with. She took the time to work with us at a very busy time, right before the due date of securing insurance. She was very good at explaining the insurance options. She was very personable. We walked into the office confused about which path of insurance to pursue. She clarified all of our questions, and we walked out confident of our choices based on her advice. We would highly recommend Jeni to anyone seeking insurance counsel. Our agents at Town & Country Insurance are Dennis, Jeni, and Gabe. These people are very nice to work with. We are very much so satisfied customers. It is nice to have peace of mind and satisfaction knowing our insurance needs are taken care of. By the way – Happy Retirement to Dennis. Thank you very much for the work you do. You make my choices so much easier by gathering all the info I need to make an informed decision for my family. Christy Sundet understands, cares and is great at helping me meet my insurance needs. Thanks to her, I rest easier and feel more secure. The most above and beyond company I have ever dealt with. Great customer service and they go the extra mile to answer all our questions. You do a good job Jenell. We are extremely happy with the service at Town & Country Insurance. The agents are very pleasant to talk to and work with. Thank you so much for taking care of things for me … as a single mother, vehicle issues are downright doom and gloom; an “Armageddon End of the World” kind aura that incapacitates one’s mental and emotional ability to cope with daily obligations. Having a great agent who takes care of the insurance end of things so efficiently and swiftly brings such incredible calm to the chaos. I am extremely happy with the service at Town & Country Insurance. It was quick, painless, and Jenell was extremely appreciative of my business. I am certainly going to continue to do business with Town & Country Insurance. Barb was extremely knowledgeable and helpful when we met with her concerning Medicare and a supplement. Not only was she personable, but she also answered all of our questions. I have referred her to my friends. Barb is the best!!!! No need to go anywhere else!!! Thank you, Barb, for your wonderful professional, thoughtful service as you helped me transition over to Medicare (not any easy life step, but don’t want the alternative either!) Your help was very detailed and I know I can contact you as more questions come my way in the future. I’ll be passing your name on to future clients and friends who will need the same service as me. The meeting was very helpful. Rachel was very competent in explaining everything, cordial, and knowledgeable. It was very worthwhile meeting. Town & Country Insurance has been our agent of choice for over 15 years. Their people have consistently handled our questions and claims quickly and accurately. I appreciate the fact that Town & Country is an Independent Insurance Provider. This gives me a choice of plans to fit my business needs. When we had to, my agent has shopped the market for a “better deal” – putting my needs first. I like the local connection Town & Country has with our business area. They are active in supporting local activities, social service groups, and active charities of all kinds. These represent the values of a community – this is what makes an area a good place to be. This fact is important to me, my family, and customers. Heidi was very helpful on getting us renters’ insurance. My experience with Town & Country Insurance Agency has been fantastic. Vicki Marks has taken good care of me and my business. I appreciate their professionalism and their understanding. Jeni & Town & Country Insurance were great to work with. The application and approval process went smoothly. Will definitely recommend to others. Simply awesome. All we had to do is make an appointment with Town & Country Insurance. The process was delightful, swift, painless and very thorough. They had everything for us ready to review and took care of everything. Julene answered all are questions before we knew what to ask. We would recommend the Company to anyone. Our agent was amazing & very delightful. Jeni Olander has been a wonderful person to work with. Giving sound advice and always ready to answer any of our questions. We look forward to working with Jeni for years to come. Thanks, Jeni, for coming over to Mora for our meetings. We were so pleased with the help we received from Jeni. She met us at a time and location that was convenient. She answered our many questions. With her help, we were able to get the coverage needed. Jeni also provided us with quotes for other insurance products we will need in the near future. We look forward to working with her again. Christy helped me out quickly to obtain an insurance quote and policy on my travel trailer. She was professional and courteous. April is always on top of her game when it comes to insurance and answering my questions. Makes me feel comfortable trusting her with my needs and concerns. Joni Smith is an exceptional person to work with. We have been very satisfied with Auto Insurance and especially the help Joni has given us. Since November 2017 I have been having so much trouble with my MN Care insurance. Barb Rabe has taken the time-3 times as of now to talk to MN Care to help straighten out my mess. Still working on it, however, I know I can and will call Barb and she will do her very best to help me.